Cory Schaeffer has never simply had a job. By her description, she’s had experiences and opportunities to learn, grow, and give back to the people with whom she’s collaborated along the way. Throughout a career that began with her embrace of the AV industry nearly 30 years ago, Schaeffer has built a successful manufacturing business, earned patents, served on the InfoComm Board of Directors and NSCA Education Foundation, and perhaps above all else, cherished an ever-growing number of professional and personal relationships, which make her work so much more than a job. Her first professional role at Gentner Communications (now ClearOne) grew into a leadership position managing the company’s pro audio and teleconferencing distribution channel after Schaeffer was tasked with asking AV consultants why they were using Gentner’s hybrid telephone interfaces for radio broadcast in the seemingly unrelated application of meeting rooms. The answers led to Gentner’s expansion into the AV business and development of its groundbreaking echo cancellation technology. Later, when Gentner founder and namesake Russ Gentner was looking to dive into a new technology category, he tapped Schaeffer to be his cofounder in what would become Listen Technologies. While she contemplated the opportunity, this time the question of “Why not?” came from Schaeffer’s husband and fellow industry proponent, Tim Schaeffer. Her involvement in the AV industry continued to grow, and in 2014, InfoComm presented Schaeffer with its annual Women in AV award. 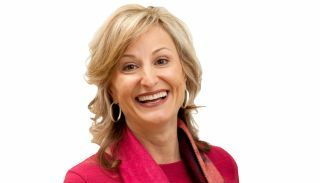 Unafraid to be assertive at a time when bias still makes men reluctant to ask technical questions of women in the business, Schaeffer continues to inspire others to be bold through her involvement in the Women of InfoComm Network. Now her role as interpreter of customer needs has come full circle, as she begins her second year as director of Systems Solutions for QSC. Once again, she’s working directly with large global enterprise end users and again with AV consultants to identify business needs, but the stakes have definitely changed with the rapid pace of technological change. “Now it’s not just about delivering products that the customer is asking for, but also the ones they’re not asking for—the ones they don’t know they need yet,” Schaeffer noted. “Successful product development requires really being able to learn from the clients, the channel, and consultants, and sift through the information to see beyond what they’re asking for and deliver everything that matters most to their customers.” In other words, keep asking why.